Yobit Exchange is most likely a scam, if hundreds of internet comments can be trusted. A common thread throughout these furious posts is that user funds were stolen, withdrawals permanently blocked, and intentional instances of fraud suffered. Yobit is a Russian cryptocurrency exchange which, like a number of other Russian blockchain schemes over the past couple of years, seems to be fleecing unwitting users of their precious crypto, then evanescing with the profits. Yobit has over 6,000 coins listed on their site, and they appear to list any coins that’ll pay them for inclusion, even if these coins are clear-cut scams. Perhaps it’s this approach to exchange curation that has led Yobit away from the days when it was a reliable exchange. Perhaps it’s other related factors. There’s really no way to know. It’s impossible to check every aspect of Yobit’s service, nor is it possible to expect that one’s own experience mirrors that of Yobit’s other users. This in mind, in this Yobit review we’ll show you how to spot scams among crypto exchanges like this, as well as a great Yobit alternative, eToro, which makes life easy for beginners, rather than preying upon their lack of experience. 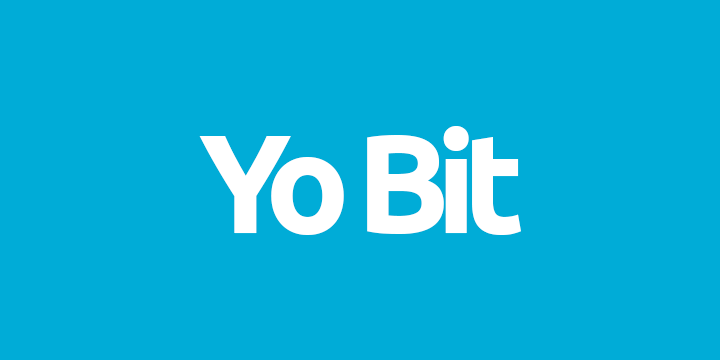 Yobit is a cryptocurrency exchange that was introduced on the Bitcointalk forum back in 2015. Today, it’s generally regarded as a scam exchange, with hundreds of users claiming to have lost funds using the service. In almost all cases, Yobit customer service is regarded as all but non-existent, so issues that arise are rarely resolved and users tend to complain on the internet, to little avail. So what’s the deal? Yobit didn’t start out this way. The theory of this author is that the decline of Yobit is due to two factors: 1) general neglect, and 2) fraudulent activity on the part of Yobit’s owners. As for the first, Yobit is one of hundreds of cryptocurrency exchanges on the internet. Gradually, most exchanges become disused and eventually go defunct. Yobit is clearly in this cycle, with low trading volumes and incredibly slow transaction resolution times. Yobit also features many coins which are not considered active. While dead projects like these might be removed from a site like Bittrex, they soldier on on Yobit, even though no one is buying them. As for the second factor, as institutions near their demise, it’s often that those who remain employed will often take advantage of the inefficiencies of the system for their own personal gain. Due to differences in national regulations and enforcement, it would seem that this is easier to do in Russia today than in some other parts of the world. There’s no way to know what’s the extent of Yobit’s theft, and how much is due to malice or mistake, but Yobit should be avoided all the same. That’s the thing. Yobit, at its core, isn’t a bad exchange. And for many months, it was a reliable service. Yobit allows fiat payments, which is a very useful service when the platform is workin as advertised. Most other cryptocurrency exchanges require users to first buy Bitcoin or Ethereum somewhere else, before they’ll be able to trade for other currencies on the exchange site. Being able to buy in with fiat is great, but if those funds then get locked up or stolen, it’s not so good. At the best of times, Yobit’s security is was also quite good. 2-Factor Authentication was standard, and users could even freeze withdrawals if they feared their accounts had been hacked. Several layers of encryption security were in place, and users could even choose between hot and cold wallets. We like the old Yobit for these reasons, so it’s a shame that it has decayed. Yobit’s once intuitive and streamlined design has been marred by endless coins, most of which add no value for the user. As mentioned, there are over 6,000 coins which can be traded on Yobit, most of which are not high quality projects. Further adding to the confusion is the “Invest Box”. It’s never explained what it is, how it works, or how much users can hope to gain. Not a confidence-builder. Whatever Yobit once was, it is no longer. Some users report good experiences, but these are in the minority, at least if we are to trust online forums. We advise users to stay away and to use any of the dozens of more reputable exchanges and service-providers, such as Bittrex, Binance, and eToro. When we first begin our journey with cryptocurrency, the sheer amount on information and services available can be overwhelming. And while there are plenty of blockchain projects and exchanges which want to provide sound services to new users, there are many others who understand that new users are prone to making mistakes. These bad actors take it upon themselves to create confusing and deceptive services which prey upon the ignorance of their users. We are sad to say that it looks like Yobit is now in this camp. Then there are services like eToro which are above-board, and very easy for new users to try. eToro is what you might call “idiot-proof”. Where conventional crypto exchanges require users to maintain independent wallets, keep up with private keys, and generally learn through trial and error, eToro does all of the hard work for you. All you have to do is sign up. eToro accomplishes this by not requiring its users to buy Bitcoin (and other cryptocurrencies) in order to make profits. Instead, eToro sells what are called CFDs, or Contracts for Difference. Basically, you pay the market price for Bitcoin, but instead of receiving actual Bitcoin, you simply make profits and losses exactly as if you owned Bitcoin, without the bother of actually keeping track of it. That’s what the “contract” part of the CFD refers to. It’s a contract between you and eToro that says that $X entitles you to $X worth of Bitcoin, and that if that amount of Bitcoin gains value, you will receive that profit, and if it loses value, you commit to pay the losses out of your contracted funds. You can use stop-losses and other tools just like with a regular exchange. Sure, if you want to own Bitcoin for the long term, move it to exchanges, and especially spend it, you’ll need an exchange like Coinbase. But for simple speculation and investment, you can’t do a lot better than eToro. Now let’s talk about how you can spot cryptocurrency scams. First things first, it’s important to understand why there are so many scams and schemes in this space. There are several primary reasons. Crypto is not well regulated, or even regulated at all, in most parts of the world. Most world governments are right to wait on harsh regulations, because blockchain is so misunderstood by many of the powers that be. What’s more, it’s not developed into a fully functioning industry by any estimation, so putting fetters on it now could cramp meaningful innovation. On the other hand, this same lack of regulation makes it easy for scammers to steal without legal consequence. Most crypto enthusiasts are thankful that regulation has not been premature, but we also understand that this reality makes it all the more important for us to be cautious when using crypto platforms of any kind. Crypto is the new gold rush, the new Wild West. There is so much money pouring into this industry that it’s only natural that people looking to get rich quick by any means necessary would come right along with the rest. Greed breeds schemes and scams, and often the greedy are the ones ensnared by these scams. Beware of that which seems too good to be true (just Google “Bitcoinnect” to see how that works out). Invest with solid platforms in meaningful projects, and you’ll be well on your way to staying safe. Now that we understand why cryptocurrency scams develop, let’s learn how to stay safe. Here are some of the most reliable methods. Do Your Own Research! This precept is so fundamental to crypto investment that it has been turned into its own acronym: DYOR. There are countless examples of deceptive marketing being used to sell fraudulent crypto projects to the masses. They can all seem convincing. To see through the lies, read diverse sources, and talk to real people whenever possible, using platforms like Bitcointalk and Reddit. Learn How Blockchain Actually Works. It will be much less easy to take advantage of you if you have the knowledge to see lies and scams for what they are. People who simply get into crypto to make fast cash, without taking the time to learn the ropes, are the ones who are going to lose their money. If you can’t take the time to learn the industry, don’t risk your money because you’ll probably lose it fast. Use Projects That Are Transparent. There is a concept in crypto known as “auditing”, which means that code, platforms, and other facets of crypto and crypto platform design are opened up for authorities to inspect. Companies like Tether have lose legitimacy because they won’t allow themselves to be audited. Any crypto platform that holds your money should be transparent. The best wallets (Exodus, Jaxx) do it, and the best exchanges (Binance) do it. Yobit does not submit to audit or practice transparency, and are thus not worthy of your business. Don’t Skip Steps. It’s easy to let research slide after you get a little bit of experience under your belt. We like to think that because things have worked out in the past, they’re going to work out in the future. However, letting your guard down is a good way to get in trouble. Scamming methods only get more sophisticated. Yobit is an example of an exchange that looks legit from the outside. It’s only when users start to try it out for themselves that they find that their funds get stuck or lost. It’s a shame that users of Yobit have started to lose funds and have other major problems with the platform. For awhile, Yobit was a trustworthy exchange, but as the months have gone on it has lost that reputation. With little to no transparency and a mounting list of user complaints, we’ve got to recommend our readers to stay away from Yobit. There are many other quality cryptocurrency exchanges, like Bittrex, Binance, Coinbase, and more. Don’t get wrapped up in a scheme that could lose you hundreds or thousands of dollars worth of currency, as has been reported by so many others.